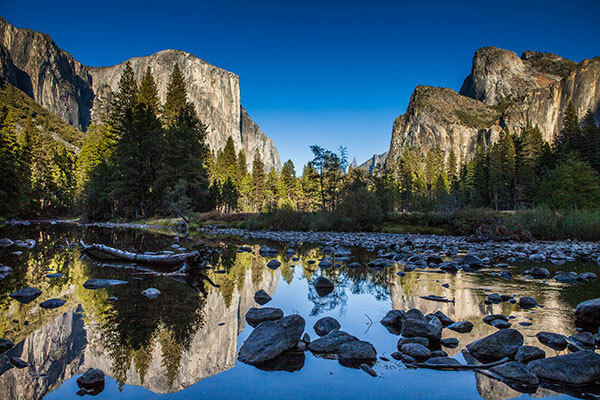 President Talks about Climate Change in Yosemite National Park: Is It Too Late? On the day before Father’s Day 2016, President Obama visited Yosemite National Park. The trip was planned as a family vacation, but it also aimed to focus attention on the centennial of the National Park Service and provide the president with a chance to encourage conservation nationwide and to talk about the need to curb climate change around the world. Standing near Yosemite’s Sentinel Bridge, with views of Half Dome and Yosemite Falls as a backdrop, President Obama made a speech regarding our rapidly warming planet and paused to film a video for the National Geographic Channel as part of a special program on the parks, which is scheduled to air August 23, 2016. Two days later, August 25, will mark the centennial of President Woodrow Wilson’s signing of the Organic Act, which created the National Park Service. While I’m thrilled to see the president address the issue of climate change—especially in one of our most cherished national parks—what’s unsettling to me is that this comes so late in his presidential tenure. It seems as his January 2017 departure from that post approaches, his administration is becoming increasingly focused on leaving an environmental legacy. As it is so often with mitigating climate change, is it too little, too late? 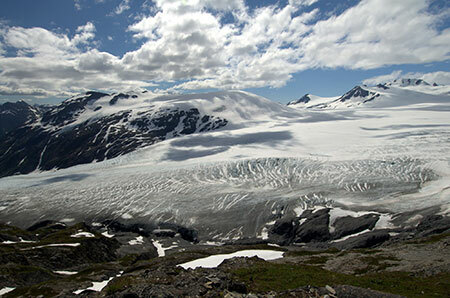 When a glacier system changes, it changes the habitat for marine mammals and other wildlife. In Kenai Fjords National Park, populations of harbor seals have dropped dramatically in the fjords. In 1980 in Aialik Bay, there were 1,500 harbor seals. Today, there are just a few hundred. On the drive to the park’s Exit Glacier, visitors see signs on the side of the road with numbers on them, such as “1815” or “1899.” Typically, people think the figures represent some sort of highway marker or elevation statistic. Once they reach the edge of the glacier, however, they realize the numbers denote in what year the glacier had extended to that point. • The massive mangrove forests in southern Florida’s Everglades National Park are, perhaps, the single best ability the region has to sequester carbon. 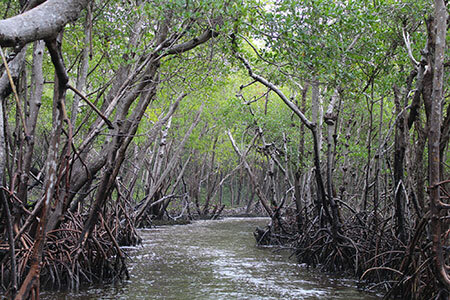 Mangroves are much more efficient at taking up carbon than terrestrial forests. No one knows yet if the mangroves will be able to keep up with sea-level rise. And, increasing tropical storms and hurricanes, due to climate change, cause soil loss. As a result, the forests can die. When freshwater marshes transition to a saltwater-dominated system, species die out and change. • In Sequoia National Park, it’s now 1 to 2 F warmer than it was in the mid 1970s. Death rates in some plots of trees have doubled over the last couple of decades. The forest is getting thinner, and the prime suspect is climate change. At an elevation of 6,000 to 7,000 feet, about half of the annual precipitation comes as snow. That’s the water “bank” that lasts into the summer, and it keeps the soil charged with water as the snow slowly melts. Without that bank, seedlings struggle to survive. More and more of them aren’t making it. In 2013, President Obama was criticized by the think tank Center for American Progress for failing to protect public lands “for their economic, scenic and environmental values.” That year, the organization stated, “The number of acres protected over the last four years is far fewer than under President Obama’s four predecessors, including even President George W. Bush, who was condemned by environmentalists and the public for his dismal environmental record.” Today, however, that statement no longer stands. In his seven years in office, Obama has established 22 national monuments and expanded others to set aside more than 265 million acres of land and water—“more land and water than any president in history,” according to the White House. In his speech last weekend in Yosemite, President Obama pointed out how a rapidly warming world is affecting the park. “Meadows are drying out, bird ranges are shifting farther northward. Alpine mammals like pikas are being forced farther upslope to escape higher temperatures. Yosemite’s largest glacier—once a mile wide—is now almost gone,” he said. He also told the National Geographic Channel that he hopes people will “realize that Yosemite, 50 years from now, could be dramatically different, and I don’t think anybody wants that.” He called on Americans to push leaders in Washington, D.C., to do more to reduce fossil fuel emissions, rather than—as some Republican Party leaders have urged—jettison the Paris climate agreement. It’s a good message to send, I think, especially from a place of such incredible natural beauty as Yosemite National Park. But I only wish it had come eight years ago, when President Obama was first elected. Then, in 2008, the average global temperature was 1.46 F above the 20th-century average of 47.3 F. In April 2016, the National Oceanic and Atmospheric Administration (NOAA) reported an average temperature 1.98 F above the 20th-century average—the highest temperature departure for April since global records began in 1880. 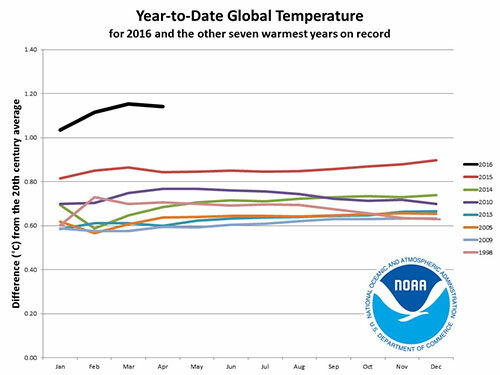 Right now, 2016 is on pace to be the hottest year on record. I wonder where global temperatures will stand at the end of the next president’s term, when he or she finally realizes climate change is one of the biggest threats we face. Can we wait to find out? Another most informative written piece Candice!! I fear for a New Zealand favored and experienced location called the historic Chancellor Hut. I was so fortunate to have stayed while adventuring upon – flying above – landing upon the ‘now’ depleting Franz Josef and Fox glaciers. It is daily that I am in awe at being so fortunate to have lived so far abroad to bear witness to countless ‘wonders’ that are now ruined or .. ‘gone’.